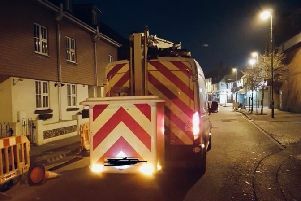 Police have authorised a dispersal order in Worthing following anti-social behaviour in the town centre, a spokesman said. A dispersal order, known as a section 34 order, has been authorised due to the increase in anti-social behaviour in the Guildbourne Centre, Warwick Street, Chapel Road, Montague Street and South Street areas, police said. Under the order, police officers and PCSOs can tell individuals or groups, who are causing significant and persistent anti-social behaviour to leave the area and not return for up to 24 hours, according to police. The order is intended to make the area more pleasant for those who live, work and visit, police said. The order is in place between 11am on Wednesday (February 27) and Friday (March 1). Inspector Allan Lowe said: “This dispersal zone will help us to combat anti-social behaviour which is primarily caused by the street drinking community in the town centre. “We do not take this decision lightly and we remain focussed on seeking a long term solution working with our partners to resolve this issue.